This show had one of the most diverse audiences I have ever seen. The people in attendance came from all sorts of ethnic and age groups. They were dressed all the way from dress suits to metal concert regalia. 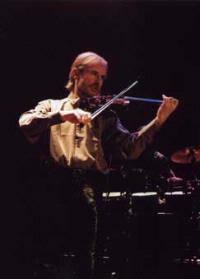 All had come to experience the musical magic of Jean-Luc Ponty, and Ponty and his band delivered. The entire band was very charged and "on". These guys were tight, and all showed off formidable skill at their instruments. 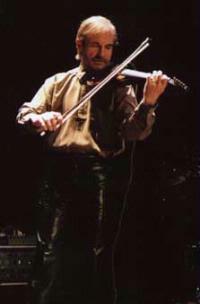 The band performed cuts from all phases of Ponty's career, but the biggest audience response came when they did compositions from the classic Civilized Evil and Enigmatic Ocean albums. The material from his new album worked quite well on stage, too, though. This reviewer particularly enjoyed the composition from his African project. It is not often you see a band with two drummers, but this group really made it work well. In fact, the joint drum solo, with one drummer using a traditional kit and the other on tribal drums, was extremely effective. All in all, this was a very powerful show and a great tribute to some great musicians.